Our numerous years of working in the forestry business have enabled us to build specific experience in this sector. Thank you for the quality of the work you carried out. The work was to a very high standard which has left us with a finish that will be easy to preparing for planting. During the forestry work, any post-felling material is mulched, this includes brash from felled trees, scrub vegetation and roots that have not been chipped or sold as timber. The mulched material can be incorporated in the topsoil, offering an efficient, practical and environmentally conscious option. Mechanical felling allows the removal of trees in whole pieces and those that are felled during our tree clearance works are stacked and graded. Mature trees are conventionally felled for timber, whilst smaller lumber is used for biomass fuel. Tree stumps can be wholly or partly ground out where necessary, using our pedestrian operated wheeled or tracked stump grinder. We can work on any size tree stumps which can either be grubbed up by excavator and then mulched or ground-out; the arisings can be incorporated into the topsoil or removed as required. We are a premium wood fuel producer and can offer a complete market for any timber; from low value wood chip to firewood and high value sawlog products. We usually fell mature trees for timber, whilst smaller lumber is used for the wood fuel market. According to the clients’ requirements, felled sites can be mulched to facilitate replanting or to reduce vermin habitat, all work is carried out by in-house staff and equipment without the use of sub-contractors. 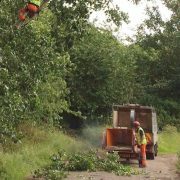 Practicality Brown Ltd offers a comprehensive range of professional Arboricultural and Forestry services as part of overall tree maintenance and clearance programmes, all carried out to the relevant industry best practice and guidelines. 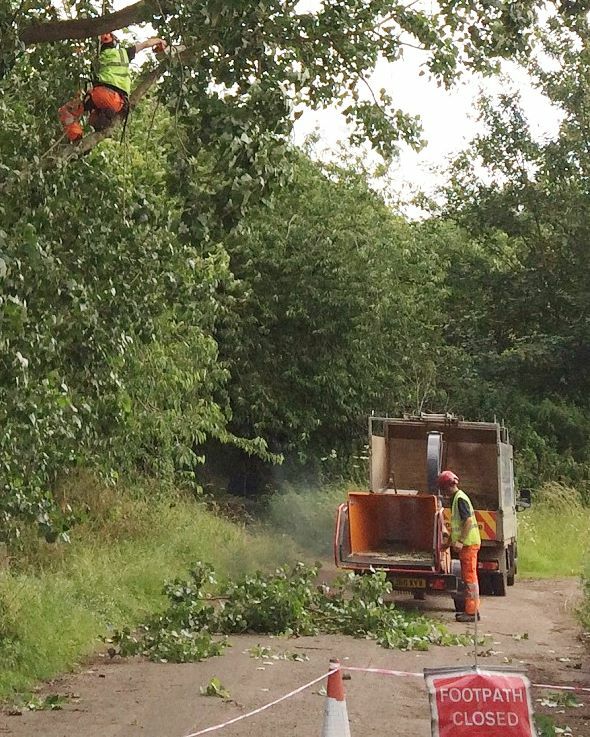 We cater for both private and commercial large scale tree management contracts, including specimen trees, hedges, woodland and highways contracts, with all work carried out by our fully qualified and experienced team of Arborists who will ensure quality provision is assured. Felling, dismantling, pruning, crown lifting thinning and reshaping, bracing, stump grinding, hedge cutting, chipping. Practicality Brown Ltd is ISO9001 and ISO14001 registered, CHAS registered and currently working towards approval by the Arboricultural Association Approved Contractor scheme.